Today, we spent a lot of time looking at Web articles, videos, and photos. Check them out! 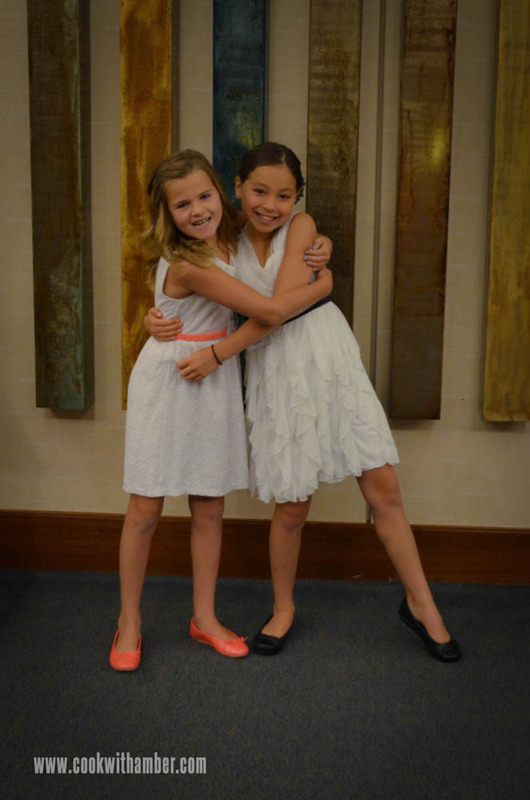 Q13 did a spotlight on me at the Kids’ State Dinner! How cool! Thank you, Q13 FOX team! I’ll be on Q13 FOX next week to show how to make the Nummy No-Noodle Lasagna, the recipe I submitted to the contest. 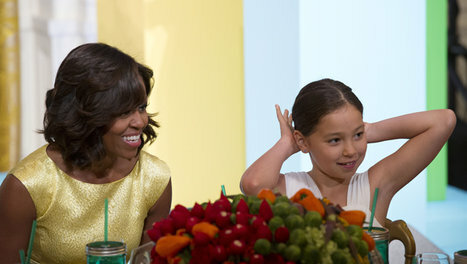 King 5 News also did a story on the Kids’ State Dinner, and about my cooking show. They also posted the live coverage of the dinner. My interview with Sam Kass, a chef at the White House, is at 22:28. The President made a surprise appearance and made a speech. He was really funny! This video is also from the White House Youtube channel. CNN talks about how the President crashed the party, including a video of us all dancing with Rachel Crow. 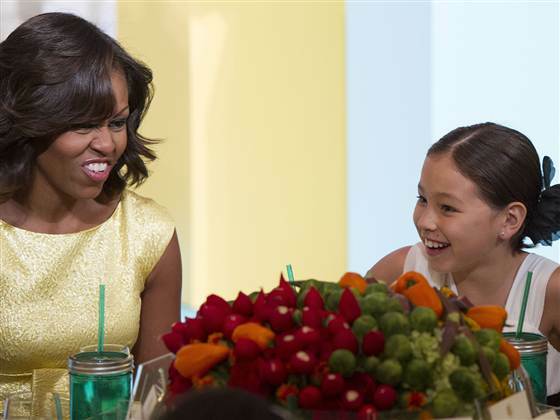 Associated Press has a video of the dinner – you can see us sitting with Michelle Obama at 0:24! 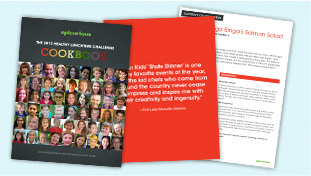 Let’s Move’s official website has videos, photos, and a link to download the 2013 cookbook. World News Tonight with Diane Sawyer talked about the event and how the President thought it was unfair that he is not allowed to eat with his fingers at at State Dinner! Video here. NBC Nightly News did a nice long segment on the event. 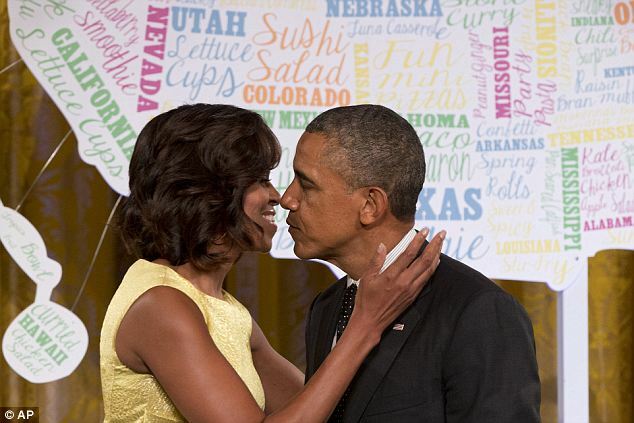 NBC News has a video of highlights from Mrs. Obama’s speech. Washington Post has a great slideshow. 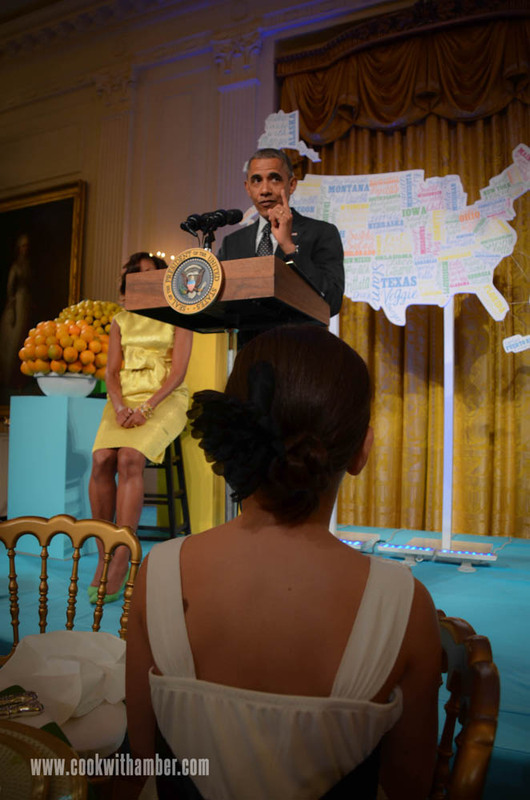 I made the Best 5 Moments from the 2013 Kids’ State Dinner! MailOnline has a bunch of great photos and videos. Here is what the First Lady and President said in their speech (in words).